I exercise six days a week, rain or shine, without fail. I’ve been doing this for years. I guess you could say that I’m addicted to exercise. I eat five serving of vegetables, every single day. I eat at least three servings of fruits, every single day. I drink lemon water every single morning. However, there are other behaviors which I would like to turn into habits—that is, I would like to make them addictive—which I have more trouble with. Therefore, I was thrilled to come across a TED.com talk which claims that there’s a way to make any behavior addictive. If there are certain behaviors which you would like to turn into habits—or become addicted to—you’ll discover the steps that you need to follow in order to achieve this, below. The key to making any behavior addictive is to focus on the six human needs as described by personal development guru, Anthony Robbins. Robbins claims that all humans have six fundamental needs, and that all behavior is simply an attempt to meet those six needs. 1. Significance: Feeling unique, important, special or needed. This is the need to be acknowledged and to feel like we matter. 2. Certainty/Comfort: Assurance you can avoid pain and gain pleasure. This is the need for consistency. 3. Uncertainty/Variety: The need for the unknown, change, and new stimuli. This is the need for situations that take us out of our comfort zone. 4. Connection/Love: A strong feeling of closeness or union with someone or something. 6. Contribution: A sense of service and focus on helping, giving to and supporting others. Robbins indicates that a behavior becomes addictive if it meets at least three of the six human needs in a powerful way. Of course, the more needs a certain behavior meets, the more addictive it becomes. In her Ted.com talk, Zoë Chance—an Assistant Professor of Marketing at the Yale School of Management—explains that she became addicted to constantly taking steps throughout the day because this behavior allowed her to meet the six human needs. 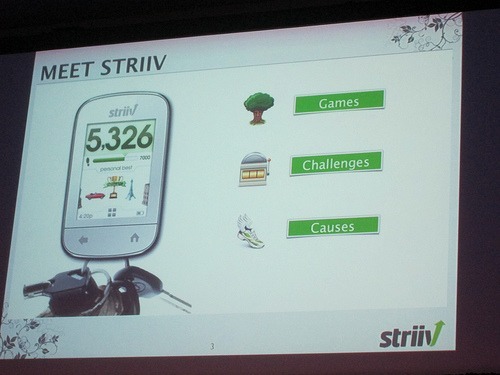 Chance indicates that in March 2012 she bought a Striiv Pedometer. This is a pedometer that not only counts how many steps you take, but also has interactive features. By using the Striiv pedometer Chance not only reached the recommended quota of taking 10,000 steps per day, but she exceeded this amount by 14,000 steps each day. 1. It made her feel significant. The developers of the game “Farmville” created a game for Striiv called “Myland”. You start out with an enchanted island, and your goal is to bring back the animals that inhabit the island by planting trees and building places to live. You accumulate points by taking steps, and then you can use those points to build things on your island. In this virtual world you’re playing God. The welfare of the island depends on you. Chance shares that this made her feel significant. 2. It gave her certainty and comfort. Chance explains that we like to feel safe, and that our expectations about the world are likely to be met, at least much of the time. Striiv gave her the certainty that with every step that she took, she would get one point if she was walking, three points if she was taking the stairs, and five points if she was running. In addition, she knew that after taking a predetermined number of steps, she would get a trophy. 3. It gave her variety. Striiv creates personal challenges for you, so at any moment a challenge can pop up, such as: “Get up right now and take 100 steps.” You can get a challenge at any time, so you never know when it’s going to happen. Also, there are many different challenges. If you meet the challenge, you get awarded bonus points. Chance loved the Striiv challenges, and she would always strive to achieve them. 4. It made her feel connected to others. Striiv has a feature which allows you to “race your friends in real time”. As an illustration, if you and a friend decide to cross the Golden Bridge, whoever takes the amount of steps necessary to cross the bridge first, wins. You can also challenge yourself to meet your friends’ daily averages. Chance explains that by using Striiv she was connecting with other Striiv users. One of Chance’s co-workers was also using Striiv, and they were constantly competing with each other.In addition, she became part of the Striiv online community. 5. It made her feel like she was making progress. We like to feel like we’ re making progress from day to day. With Striiv you can see the numbers growing as you take steps each day. In addition, you reach different levels and you get awarded trophies. Chance indicates that as her trophy collection grew, she felt a sense of growth and achievement. In addition, she was feeling fitter as a result of all the exercise she was getting. 6. It made her feel like she was making a contribution to others. 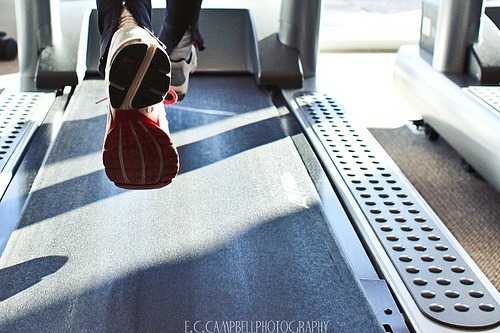 Striiv counts every step you take toward a donation to charity. By taking steps, you’re helping those in need. Chance explains that this was one of the aspects of Striiv that she liked the most. As you can see, by taking steps using Striiv, Chance was getting all of her six needs met. Therefore, the behavior of taking steps turned into an addiction for her. As an aside, if you watch Chance’s Ted.com talk you’ll see that she took things too far: she started neglecting important areas of her life because she was almost entirely focused on taking steps throughout the day. Taking steps became an unhealthy addiction. The objective here is to develop healthy addictions, without taking things so far that they become unhealthy. How can I make this behavior more significant, or more ego-gratifying? How can I feel safer doing this? Is there a skill that I need to develop in order to feel more comfortable doing this? What steps can I take to ensure that I’m going to get the results that I’m expecting by carrying out this behavior? How can I make this behavior more challenging? How can I make it more fun? Who can I do this with? Can I join a group or forum? What milestones can I set? What will make me feel like I’m moving forward? How can I help others by carrying out this behavior? Keep asking yourself the questions above until the answers that you come up with are powerful enough to turn the behavior into an addiction. Think of a behavior that you’re trying to turn into a habit and make it addictive by applying the framework explained above. Live your best life by turning the actions that you need to take in order to achieve your goals into addictions. Interesting article! You state that you eat five servings of vegetables and at least three servings of fruits, every single day. Could you expand on how you make sure you do this, please? Hi Catherine:I don’t use the framework above for making sure that I eat fruits and vegetables, because I just came across it. Around the corner from where I live there’s a small grocery store that sells fruits and vegetables. I stop there every day and get a small lettuce, a tomato, a cucumber, a carrot, and an onion. Then, I come home, make a large salad, and eat it. I also buy a box of raisins, a lemon, a plum, a banana, and a mango.I eat those throughout the day.